Planning a visit? Here’s how to find The Old Mill in Lower Slaughter. enter the village park wherever you can (there isn’t a car park!) then follow the signs to the Mill Museum on foot. 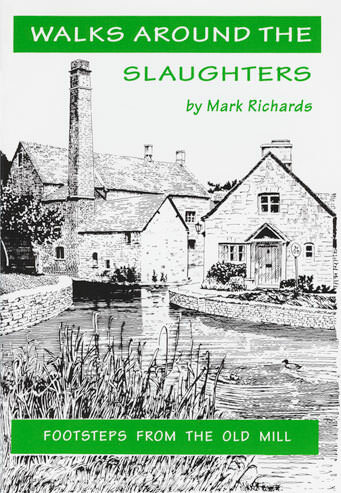 After visiting the Mill why not do one of the six circular walks beautifully described and with a hand drawn map in “Walks Around The Slaughter” by Mark Richards. (available from the gift shop). Each walk begins and ends at the Old Mill. Why not do the walk first and then treat yourself to a cream tea in the Riverside Tea Room. top ten places to lunch. 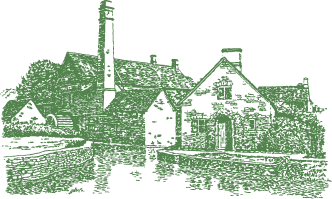 The Slaughters derive their names from the Anglo-Saxon words ‘slough’ meaning wet land and ‘slohtre’ a muddy place or from the name of their Norman landowners – the d’Schlotre family.